After BJP makes a mark in Odisha's local bodies, can state elections be far behind? The saffron party hopes to unseat Naveen Patnaik's Biju Janata Dal in 2019. Soon after the Bharatiya Janata Party registered an emphatic victory in the 2014 Lok Sabha polls, its strategists started working on expanding the party’s footprint ahead of the next general elections in 2019. Since the BJP had made the highest gains in its strongholds in northern India, strategists identified the states where the saffron party did not have a substantial presence but had potential to take root. The first tangible gains of this strategy came last year, when the saffron party dethroned the Congress and formed a government in Assam for the first time while also making made inroads in Kerala, where it won its first seat, and West Bengal, where it won three seats. Now, the BJP is eyeing another virgin territory. After its exceptional performance in the just-concluded panchayat elections in Odisha, in which it is set to become the primary Opposition party, the party believes it is ready to take on Naveen Patnaik’s Biju Janata Dal, which has dominated the state for 17 years. After polling in the local body elections concluded on Tuesday, the BJP had increased its tally manifold, winning 306 of 853 Zilla Parishad seats this year, up from 36 in 2012. 36 👉 306 an incredible journey of BJP in #Odisha. The Biju Janata Dal’s tally, meanwhile, fell from 651 in 2012 to 460, while the Congress came a distant third, with 66 seats. By reducing the Congress to a bit player, the BJP has laid the ground for a tough contest in 2019 in Odisha, where Lok Sabha and Assembly elections will be held simultaneously. Predictably, the results have set alarm bells ringing in the Biju Janata Dal and the Congress. “Local elections are usually won by the party in power…the fact that the BJP has made such major gains is undoubtedly a matter of concern for us,” said a Congress office bearer. Biju Janata Dal leaders, although rattled, put on a brave face, claiming that these elections had no bearing on the Lok Sabha and state polls. “In 2007, the Congress made big gains in the panchayat elections but we swept the polls two years later,” said a senior party leader. Congress leaders maintained that the infighting in the party’s Odisha unit – where all 16 legislators had revolted against state party chief Prasad Harichandan in October – and shortage of funds were the main reasons for their poor performance. They grudgingly admitted that the Congress, which is the chief Opposition party in the state Assembly since 2000, did not take these elections seriously while the BJP’s well-oiled party machinery ran an efficient campaign. The saffron party had started strengthening its party organisation here soon after the 2014 elections. It drew up an exhaustive schedule of programmes, attended by senior leaders, thus ensuring that even a minor rally was converted into a major event. In the process, the lotus – the party’s election symbol – can be found all over the state, including in the hinterlands. The BJP owes it success in the panchayat polls to its state unit, which managed to identify and articulate the grievances of the people. It also successfully challenged Patnaik’s stamp over the various welfare schemes in the state – something that has helped him come to power every election since 2000 – by showing the electorate that many of these were actually funded by the Centre. The BJP first found a footing in Odisha in the 2014 Lok Sabha elections, when its vote share in the state went up to 21%, just short of Congress’ 26%, and has worked assiduously since to build on these gains. Union Minister of State Dharmendra Pradhan, who is from Odisha, ensured that the state unit used every opportunity to take on the Patnaik government, successfully projecting itself as an alternate to the Biju Janata Dal. 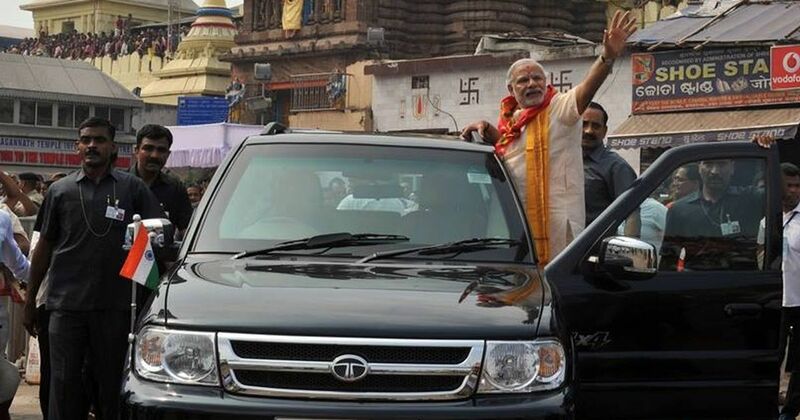 The party also owes its success to Narendra Modi’s popularity – the prime minister has made frequent visits to the state since he came to power – and the painstaking efforts made by the Rashtriya Swayamsevak Sangh in Adivasi belts to polarise voters on religious lines. The gruesome murder of Australian Christian missionary Graham Staines in 1999 by a Bajrang Dal activist and the controversy over conversions in Kandhamal are two instances of how the RSS and its affiliate organisations have used the religion card to help BJP establish itself as a key player in a state where it never had any presence. There is no doubt that the recent local polls are a wake-up call for the Biju Janata Dal, which was clearly complacent about them. While the BJP parachuted its Central leaders for campaigns, Patnaik visited the districts much before the polls, leaving it to the MLAs to campaign in their respective areas. 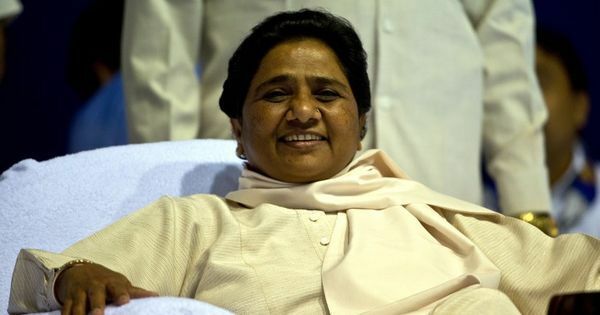 This turned out to be an unwise decision as the anti-incumbency sentiment against the party’s legislators led to the Biju Janata Dal undoing.